dPen’s The Last Of Us Music kicks off the new year by welcoming Namatjira to the label for a brand new 4 track EP. The Dutch producer has enjoyed a great start to the year delivering remixes for Asymmetric Recordings and Sound Avenue, both of which made their way into Beatport’s Progressive House Top 100. Now The Last Of Us Music presents Namatjira’s first original work of the year with four brand new productions that make up his ‘Nerrina’ EP. Outside of Namatjira’s album for 3rd Avenue there’s never been an offering with such a great selection of original tracks from the Dutch producer. 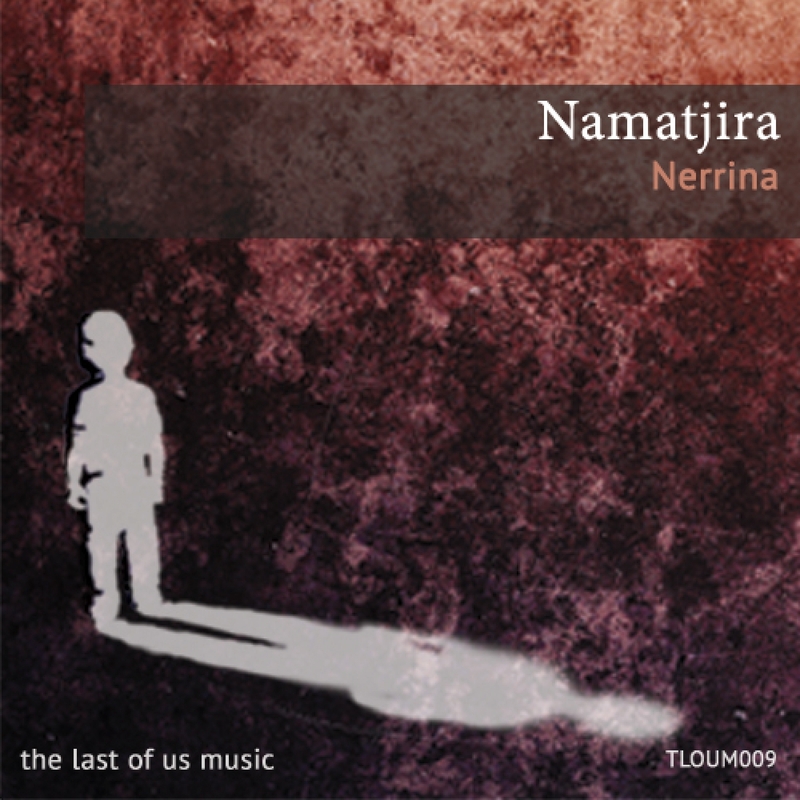 It begins very strong with title cut ‘Nerrina’, a piece anchored by warm bass swells and smooth, emotive chord changes. A jangly lead hook proves to be quite catchy and carries the track with ease into a subdued break, where an indistinct vocal gets introduced to mesmerizing effect. The second act blends layers of melodies over an exhilarating three minute stretch, ultimately peaking to initiate one final break where the vocal loop again becomes a showcase piece. It’s such a unique sounding vocal I’m glad it gets a chance to breathe at various points in the mix and ultimately takes the track to a smooth conclusion. The EP’s second selection ‘Lutzenbohr’ ups the energy a few notches while still retaining those inimitable dreamy qualities that Namatjira has become so known for. Growling slabs of bass make for a wonderfully contoured groove while a quirky tonal theme fills the air with an electric vibe. Waves of effects keep things super fresh and ultimately lead the track into an a dramatic break. Beautifully constructed, it’s smooth build sets up a very full and harmonious third act where kaleidoscopic melodies and bold themes take you home. Next up is ‘Los Suenos’ which carries very similar design qualities as the previous two cuts and really continues what is a great sound story this EP is turning out to be. The emotion is strong once again with unique vocal elements and an array of sweeping melodies and effects. Namatjira has certainly mastered the art of melodious groove sculpting as the chord changes and fluidity running through this one are really nice once again. The final selection ‘Boomerang Bay’ is perhaps the EPs most sought after piece, thanks to Hernan Cattaneo playing it in both his live gigs and also his Resident podcast. Some interesting (and damn catchy) design work along with a very club friendly groove make it ideal for the dance floor. The simplicity of the soft stabs is just perfect for the track and it’s anthemic qualities, particularly in the third act are undeniable. Gorgeous music from Namatjira and I think my pick of the 4 on the EP, but that’s tough as they’re all quite nice. It all amounts to a super collection of music and a top notch release for dPen’s The Last of Us. Don’t miss it.